Here’s a spicy, simply “noodle” bowl I put together for lunch today. In my previous post, I mentioned the top 7 health benefits of cayenne pepper. In this recipe, I use jalapeño pepper, which has many of the same health benefits, including raising the body’s metabolic rate and increasing cardiovascular health. Have you ever made noodles using a spiralizer ? You can create noodles out of many raw foods — carrots, yellow squash and apples. I love it, and mainly use it with zucchini. Since I’m growing zucchini in the garden, why not put it to good use? 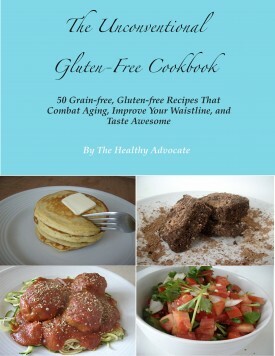 I especially enjoy “spaghetti” and meatballs with zucchini pasta, a recipe that is in my eBook cookbook. Feel free to substitute, add or swap ingredients. If you are making this to be a full meal, try adding grilled free-range chicken to the bowl, or even grass-fed beef. 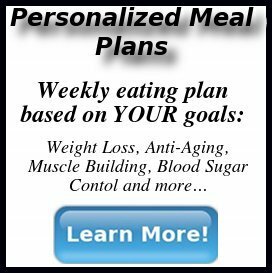 These are nice options that round out the meal, while providing a high quality, nutritional dense meal. A spicy "noodle" bowl made with spiraled zucchini. 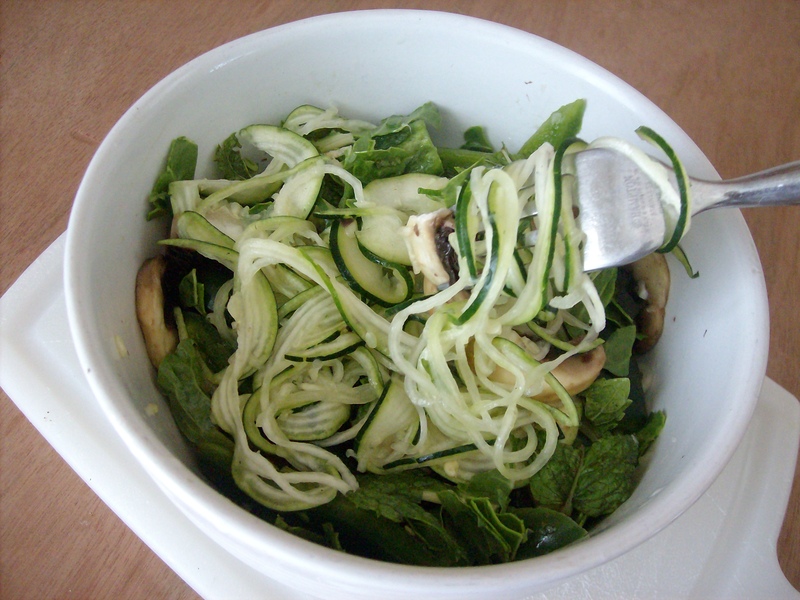 Spiralize both zucchini and toss in a bowl with lime juice and a pinch of salt. Transfer spiralized zucchini to a colander and place over a bowl to catch excess liquid. Meanwhile, slice the peppers and mushrooms and toss with garlic, olive oil and salt. Set aside for 15 minutes to soften. 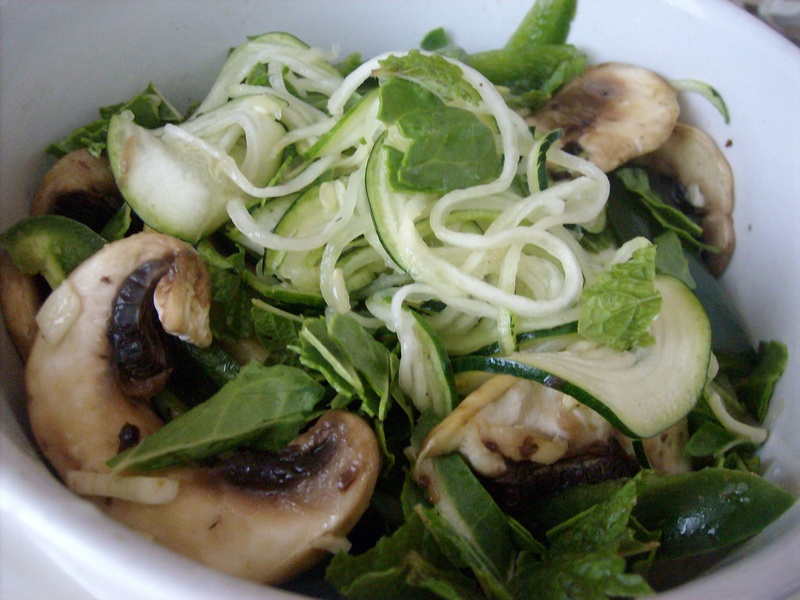 Serve by placing vegetables over zucchini noodles and garnishing with cilantro. How do you spiral a zucchinni? Wendy, check out this spiralizer on Amazon: http://www.amazon.com/Joyce-Chen-51-0662-Saladacco-Spiral/dp/B0000DDVYE. It’s really easy to use. All you have to do is slice a zucchini into 2″ sections, place it on the spiralizer, give it a spin and presto! Spiralized zucchini. Perhaps I will do a video on how to do it. You are currently reading "Spicy “Noodle” Bowl"